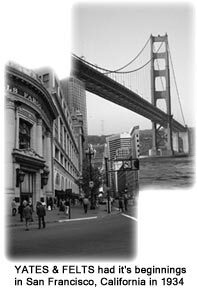 The history of our company dates back to 1943 San Francisco. Like most Americans during the depression Charlie Yates struggled to make ends meet. As an employee at a hardware store, Charlie started a side business selling and installing door closers door to door in the city. Charlie’s hard work and success lead to the opportunity to become an independent sales agent for Von Duprin products in 1944. The territory was massive by today’s standards, covering northern California, Nevada, Oregon, Washington and Idaho. Once again, Charlie’s hard work paid off and his business expanded to the point that he needed a partner and his choice was a long time colleague named Tom Felts. In 1962, Ron Yates joined the operation and immediately realized there was a tremendous business opportunity in stocking Von Duprin products. His biggest challenge was convincing Charlie and Tom to Invest in his idea. 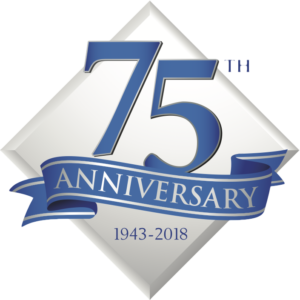 Needless to say, Ron was successful and Yates & Felts started as a stocking rep agency operating that way until 1989 when the sales agency was sold and Yates & Felts, Inc. became a wholesale enterprise.